This was mostly associated with recently implemented changes. The goal was simple – I wanted to improve the user experience and greatly simplify the navigation. I hope you like the effect! I wanted to share with you the progress on this mini. I have been working on it for the last few months… And, honestly, at this point – I just want to finish it, as I am starting to hate this model. 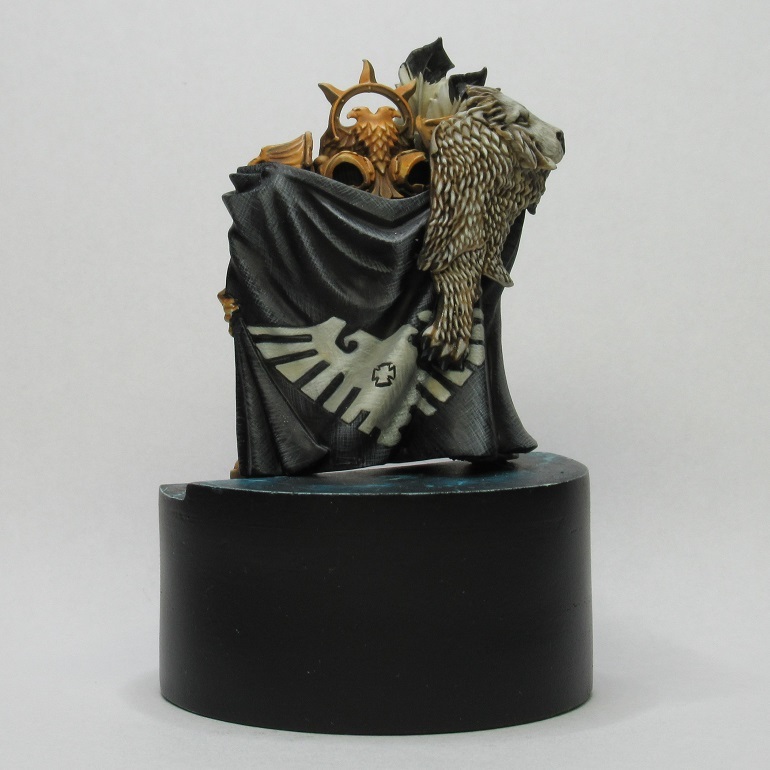 Is not that the this mini is bad (honestly probably one of my favorite GW models) – it is great and perhaps in some future, I will try to paint another version of it again (this time with TMM). 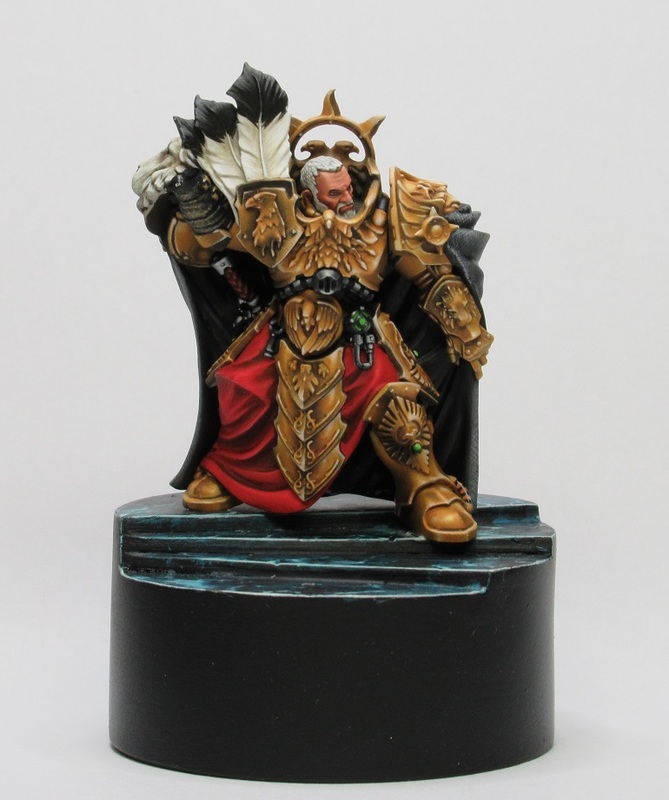 The thing is that I never painted this amount of NMM. I am not familiar with this type of style –the whole thing is a learning ground for me. Which means, painting, correcting, getting frustrated and eventually turning down the brush for weeks. Moreover, the feedback I have been getting is not positive (although the errors pointed to me are 100% true). I know, that this is the best way to learn, but hearing “correct this”, “correct that”, after I put so much effort in the paintjob is really discouraging. I have tons of other stuff on my desk. But if I will not finish it, before I start something new, I guarantee you – this will go straight to the “never ever touch that again” part of my display cabinet. This thing is pretty cool – I attended some time ago a workshop, during which we were taught painting textures and patterns, as a way to build up texture and highlight. You start with the darkest color and build up the transitions by painting lines. In this example, crossed grey lines. After painting the first batch, you painted on top of those, lighter ones. This continues, up to pure white. You will not believe, how much faster this is then traditional shading / highlighting. I really highly recommend this technique! I should be able to finish the weapon this week (hopefully); and I will start posting specific mixes and info about the technic I used. Imperial Primaris marine (WIP)… Again.